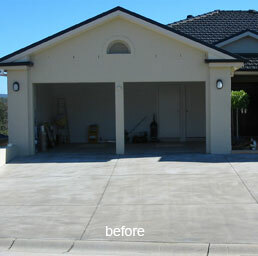 Add value and enhance the appeal of your home / business by transforming and rejuvenating your existing concrete to a stylish and impressive surface. We can help you add a touch of class to reflect your individual style by creating striking concrete resurfacing that will last for years to come. Enjoy the visual appeal of traditional paving styles without the cost and bother of weeding or spraying harsh chemicals. It also works out to be a fraction of the cost of real pavement, tiles or clay bricks. Advanced Spray Pave combines 20 years of experience in residential, commercial & industrial projects with superior workmanship and attention to detail. 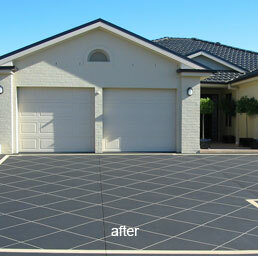 Advanced Spray Pave is a leader in Newcastle and the Hunter Valley region with recognised training. Phone proprietor Robert on 02 4951 4922 or by mobile on 04 1448 7454 for a no obligation free quote and see how easy it is to add value to your home.